ScienceDaily 6 July 2016: "Just as improved diet and medical care have resulted in increased life expectancy in humans, advances in nutrition and veterinary care have increased the life span of pet cats. 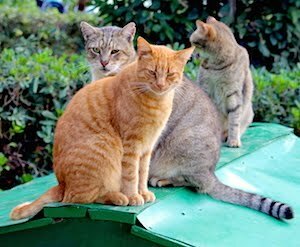 The result is a growing population of ageing cats; in the USA, for example, it is estimated that 20% of pet cats are 11 years of age or older. According to the charity International Cat Care, cats reach the 'geriatric' life stage at the age of 15 (the equivalent of 76 years in human terms), but it is not unusual for them to live to late teens and even into their 20s (a cat becomes the equivalent of a centenarian at 21 years old). 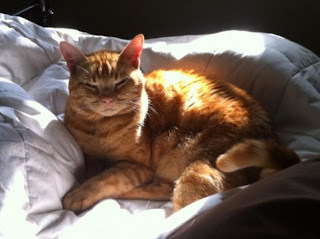 Fortunately, for these feline golden oldies, which are often cherished family members, it is now generally accepted that 'healthy ageing' is..." read on.